SHX develops software and virtual products in Second Life® since 2006. 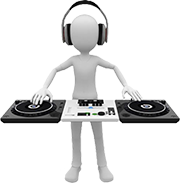 We specialize in Clubs, DJs and Music Streaming, but also offer a range of items that can be used for different purposes. Always wanted to be a DJ or start your own Club? Now you can! Join Second Life® and get started with stuff from the SHX Store!